BBSRC has announced a call for collaborative proposals to address research challenges relating to the sustainable intensification of agricultural systems in sub-Saharan Africa. This is part of the Global Challenges Research Fund (GCRF) which requires projects to meet Official Development Assistance criteria alongside their scientific objectives. The UK Medical Research Council (MRC), and Vietnamese Ministry of Science and Technology (MOST) are inviting research proposals to the UK-Vietnam Partnership on Infectious Disease Research, through the Newton Fund. This initiative will provide funding for high-quality collaborative research projects focused on Infectious Diseases. Science & Technology Facilities Council (STFC) External Innovations runs a Challenge Led Applied Systems Programme (CLASP) to support the application and commercialisation of STFC research in the key global research challenge areas of energy, environment, healthcare and security. Individual annual calls are aligned to specific challenge areas. The Confidence in Concept scheme is a key part of MRC’s translational research strategy and provides annual awards of £250k-£1.2m to institutions, to be used flexibly to support the earliest stages of multiple translational research projects. It is intended to accelerate the transition from discovery research to translational development projects by supporting preliminary work or feasibility studies to establish the viability of an approach. The Global Challenges Research Fund (GCRF) offers a unique opportunity for the Arts and Humanities Research Council (AHRC) and the MRC to launch a global public health initiative that responds to the challenge of bringing together expertise in medical science and health interventions in developing countries, with arts and humanities research bringing an understanding of local knowledge and history, cultural and historical contexts and dynamics, community engagement, and trust. The GCRF Translation Awards call will fund activities that aim to achieve outcomes that deliver impact. The call aims to enable research outputs of current or previous BBSRC-funded (or other research council-funded research activity that falls within BBSRC remit) to be further developed into practical application, which delivers benefit and impact in developing countries. Researcher Links Travel Grants provide financial support for early-career researchers to undertake an international research placement to strengthen links for future collaboration, build research capacity in developing economies, and enhance the researcher's career opportunities. The Newton Bhabha Fund uses the UK’s strengths in research and innovation to support greater scientific research capacity in India and build research partnerships between British and India research institutions leading to joint solutions to the challenges facing India in economic development and social welfare. BBSRC and the Department of Biotechnology (DBT) announce a call for research into pulses and oilseeds, supported by the Newton-Bhabha Fund and the government of India. The Centre has announced a competition to Cambridge academics, working in collaboration with scholars, policymakers and practitioners from across the globe, to develop innovative projects that will ultimately provide Humanities-led solutions to the pressing societal problems of our age. These grants are funded by the Newton Fund and managed by the UK Department for Business, Energy and Industrial Strategy (BEIS) together with partner funders from around the world. They provide financial support for researchers to undertake an international research placement to strengthen links for future collaboration, build research capacity in developing economies, and enhance the researcher's career opportunities. The British Academy is inviting proposals from UK-based researchers in the humanities and social sciences to develop interdisciplinary projects which bear on our understanding of the UK’s international challenges and opportunities (past, present and future). Proposals which relate to the themes of Conflict, Stability & Security; Europe’s Futures; Justice, Rights & Equality; and Urban Futures are particularly welcome. This call for proposals is the second round of this scheme, following a first round last year. A Follow-On Grant enables researchers who have a sound understanding of the market opportunity for their intellectual assets to execute a defined programme of work of up to two years in length that has clearly defined and complementary technical and business plan development milestones. The aim of the programme is to help researchers maximise the societal and economic benefits of their research. Innovate UK, the Biotechnology and Biological Sciences Research Council (BBSRC), the Engineering and Physical Sciences Research Council (EPSRC) are investing up to £8 million in projects that use cutting-edge solutions to reduce industrial waste in India, as part of the Newton Bhabha Fund. The aim of this call is to encourage new approaches that may establish or reshape a field of study and so transform our understanding of a significant contemporary topic. Applicants are therefore invited to be bold in compiling their bids. The Trust has a reputation for encouraging higher-risk research which is often therefore fundamental or curiosity-driven – so-called 'blue skies' – and pan-disciplinary. The Intra-CREATE (Singapore National Research Foundation’s Campus for Research Excellence and Technological Enterprise) Grants aim to generate an impetus for forming collaborations between researchers from the CREATE Partner Institutions co-located in Singapore in order to exploit the potential of CREATE and achieve greater impact from their collaborative research efforts. The British Council, under the Newton Fund, has partnered with the National Research Foundation South Africa to support and expand its SASAC (Southern African Systems Analysis Centre)/ IIASA (International Institute for Applied Systems Analysis) PhD programme. Natural Environment Research Council (NERC), the Department for International Development (DfID), and the Economic & Social Research Council (ESRC) invite proposals to address the topic building resilience to natural disasters using financial instruments. Funding is available to apply environmental and social science research to inform the design, development, refinement and validation of financing instruments to help developing countries respond and recover from extreme weather and natural disasters. The India-UK Water Centre is inviting proposals from members of its Open Network of Water Scientists. In early 2018, the EPSRC is likely to announce a call for the next round of funding for Centres for Doctoral Training (CDTs). The School of Technology and the School of Physical Sciences are seeking early expressions of interest (EoI) for potential new CDTs in order to gain a clear idea of likely demand, to provide initial feedback on the scope of the proposal and whether the topic is already well addressed. This partnership between the UK Department for International Development (DfID), the UK Medical Research Council (MRC) and the National Institute for Health Research and the Wellcome Trust funds late-stage trials of interventions that will provide evidence to help improve health in low- and middle-income countries. The objective of this call is to accelerate the adaption and/or optimisation of treatment and prevention products (excluding vaccines) for PRDs in sub-Saharan Africa for use in pregnant women, newborns and/or children. This call is restricted to the following diseases: HIV, malaria, tuberculosis, diarrhoeal diseases and lower respiratory infections. Research Councils UK (RCUK), the strategic partnership of the UK's seven Research Councils, and the Indian Department for Biotechnology (DBT) have launched a joint initiative on Antimicrobial Resistance funded by the Newton Fund. Human Development Innovation Fund (HDIF) is a challenge fund providing grants for innovations in education, health, early childhood development and water, sanitation and hygiene (WASH) across Tanzania. The purpose of this Call for Proposals from consortia comprising a minimum of three independent legal entities is to provide funding for the clinical evaluation and development of new and innovative drug candidates for HIV/AIDS, malaria, tuberculosis, diarrhoeal infections or lower respiratory infections, including co-infections. This call is supported through Science & Technology Facilities Council (STFC)’s Global Challenges Research Fund (GCRF) allocation for projects with the aim of accessing the untapped potential of STFC’s community to contribute to addressing challenges in developing countries. The World Bank’s Trust Fund for Statistical Capacity Building (TFSCB), in collaboration with the Global Partnership for Sustainable Development Data (GPSDD), is seeking proposals to encourage collaboration, experimentation, learning and capacity development for sustainable production, dissemination, and use of data. New NIHR call for internationally-outstanding applied global health research to benefit people’s health in low and middle-income countries across the globe and build research capacity. Research Councils UK (RCUK) and National Commission for Scientific Research and Technology (CONICYT) are pleased to invite applications to the Newton RCUK-CONICYT Broadening Impact Call 2017. The Fund will support ambitious innovations designed by Lagos’ private schools’ proprietors, service providers and other entrepreneurs. The concept at the heart of the Fund is ‘innovation’. The OpenPlant Fund supports innovative, open and interdisciplinary projects relevant to plant Synthetic Bioloy over 2015-19. Up to 20 six-month projects per year will receive £4k each, with an additional £1k awarded on completion for follow-on and outreach. The RAEng Research Fellowships are designed to promote excellence in engineering. They provide support for high-quality engineers and encourage them to develop successful academic research careers. BBSRC and NERC invite applications to attend an interactive strategic workshop (Sandpit) to develop proposals for research and research translation projects. Successful projects will bring together multidisciplinary teams to address challenges facing the sustainable intensification of agriculture in the UK. Diagnostic services are essential to guide patient treatment and care for a variety of health conditions. A well-implemented centralized laboratory has the potential to achieve high throughput testing with multi-purpose platforms, often at low cost. This is often not possible in the developing world, where diagnosis remains difficult and time-consuming. The Gates Foundation and Grand Challenges Canada seek to change that. Innovation Fellowships will nurture future leaders in both industry and the research base, promote greater mobility between them and ensure that a variety of UK industrial sectors have a supply of skilled researchers. Applications are sought in alignment with the Industrial Strategy, in areas that have been identified as relevant to EPSRC or recognised priority areas at the interface of engineering and physical science research. Enabling established researchers based at a UK higher education institution to spend a period of time in overseas research centres, to develop new knowledge, skills and ideas. The NIHR is offering £1.5m for an in-depth research investigation into the use and development of epidemiological models, tools, and technologies to aid deployment and clinical trialling of vaccines in outbreak situations for the twelve diseases listed as high-priority by the UK Vaccine Network. As a secondary focus, they are supplying £3.5m for multiple projects assessing and aiding the development of other relevant tools, technologies, and methodologies in this field. The focus of this research should be on low- and middle-income countries as seen on the OECD’s DAC list of Official Development Assistance (ODA) recipients. The Climate Science for Service Partnership (CSSP) Brazil is seeking submissions on methane flux estimation using inverse modelling to better understand Brazil’s CH4 budget from available observations. Based on the success of the EPSRC (Engineering and Physical Sciences Research Council )'s Supergen Solar Hub, the Council has provided up to £1 million for the strengthening of the Supergen network to support a hub, core research into solar power, and engagement, communication, and networking activity within the wider solar power community. This call aims to to stimulate joint working in topics important to BBSRC’s strategy; to match numbers of scientists from the UK with other countries to identify areas of commonality and explore the potential for international collaboration; to receive applications involving collaborations with any other country, although they are particularly interested in promoting further links with Argentina, Australia, Brazil, Canada, China, EU Member States, India, Japan, New Zealand, Taiwan and the USA. The Science and Technology Facilities Council (STFC) and the National Astronomical Research Institute of Thailand (NARIT) have announced a call aimed at capacity building in software and hardware infrastructures and data handling through astronomy. The Other Countries Partnering Awards will provide funding to support the development of long-term collaborations with overseas scientists in countries not currently offered though our existing partnering award schemes. Science for Humanitarian Emergencies & Resilience (SHEAR) is a new international research programme jointly funded by the UK's Department for International Development, NERC and the Economic & Social Research Council. The overall SHEAR programme focuses on four areas: disaster risk assessment (mapping and analyses), sub-seasonal to seasonal forecasting, disaster risk monitoring, and the integration of these into practical decision making. The OpenPlant Fund is now open to proposals for innovative, open and interdisciplinary projects relevant to plant or in vitro Synthetic Biology. Projects run for six months and can include biological research, hardware prototyping, software, outreach, policy work and training. For this round applications focused on training and knowledge exchange are especially encouraged. This work will be an analysis of experience to date with collection of the sanitation surcharge in the Mozambican cities of Quelimane and Beira. The primary aim of this work is to generate detailed information for CRA (the Mozambican water and sanitation services regulator), and for other relevant actors in the Mozambican water, sanitation, and hygiene (WASH) sector. It is supported by Water & Sanitation for the Urban Poor (WSUP), a partnership between private sector, NGOs, and research institutions working on WASH sector challenges. This scheme helps mid-career researchers from low- and middle-income countries establish independent research programmes in those countries. The scheme aims to support research that will improve public health and tropical medicine at a local, national and global level. This scheme offers research experience and training to early-stage researchers from low- and middle-income countries. The scheme aims to support research that will improve public health and tropical medicine at a local, national and global level. The Trust seeks to support medical research projects in Cambridgeshire, usually in the range of £10,000 up to a maximum of £250,000. Grants must benefit charitable or non-profit making organisations, not individuals. The Joint Programming Initiative in Cultural Heritage and Global Change has announced a new funding opportunity for transnational proposals in the area of Heritage in Changing Environments. The call is designed to support the development of new, research-based ideas and knowledge in response to the rapidly and widely changing context with which heritage and heritage practice is faced. It invites research projects that help cultural heritage to meet societal challenges and contribute to the development of society. The Isaac Newton Trust/University of Cambridge Early Career Support Scheme is for new lecturers, those appointed between 1 October 2014 and 31 December 2017. It is designed to support academics in beginning their research careers, and is intended for use on projects that will lead to further external funding in the future. This call is for applications for implementation research that can cover a range of diseases, conducted through close collaboration between researchers and national disease programmes. Research Councils UK (RCUK) and the Administrative Department of Science, Technology and Innovation of Colombia (Colciencias) have announced that they will soon invite applications to the Newton RCUK-Colciencias Research Partnerships Call 2017. The Arts and Humanities Impact Fund provides flexible funding for impact projects in arts and humanities disciplines, as broadly defined within the remit of the AHRC. Applications are invited from any researcher active within arts and humanities who holds a current contract of employment as a senior independent researcher – at the point of application – with the University. Relevant non-school institutional staff (such as from Museums or Libraries) on academic-related contracts are also eligible to apply. USAID, the Bureau for Food Security, Office of Strategic Planning and Program Management, and Monitoring and Evaluating Division together seek to support organisations that are developing, testing, or applying innovative methods in monitoring and/or evaluating the Feed the Future initiative and the overarching U.S. Global Food Security Strategy. The Engineering and Physical Sciences Research Council Impact Acceleration Account (IAA) Partnership Development Awards will pump-prime collaborations with industry partners. The fund is open to research projects within EPSRC remit, and linked to previous EPSRC-funded research, which will kick-start collaborations with companies who have significant potential to become new business partners for the University. NERC invites proposals to five research programmes to improve understanding of the impacts of hydrometeorological hazards, such as floods, droughts, landslides and storm surges, in Indonesia, the Philippines, Vietnam, Malaysia and Thailand. The Climate Science for Service Partnership (CSSP) Brazil is seeking submissions from UK researchers on the analysis of the processes and predictability of rainfall variability over Brazil in GCMs. The Science and Technology Facilities Council (STFC) and the Malaysian Ministry of Higher Education (MoHE) have announced a call to fund high quality research projects stemming from nuclear physics, particle physics & particle astrophysics, astronomy & space science, and accelerators & computing in support of these or from STFC Laboratories/Facilities. These research projects will deliver transferable skills in Science, Technology, Engineering and Maths (STEM) to raise skills levels in the Malaysian academic research community. The Biotechnology and Biological Sciences Research Council (BBSRC), Engineering and Physical Sciences Research Council (EPSRC), and the Medical Research Council (MRC) are co-funding the Tools and Resources Development Fund (TRDF). This fund aims to pump-prime research technologies that can transform the impact of life sciences research in the future. The Arts and Humanities Research Council (AHRC) and the Indian Council for Historical Research (ICHR) have announced a joint call for research proposals addressing the theme of ‘Cultural Heritage and Rapid Urbanisation in India’. The British Academy, Royal Academy of Engineering, and the Royal Society (the Academies) have partnered with the Leverhulme Trust to present the Academies Partnership in Supporting Excellence in Cross-disciplinary research award (APEX). This is intended to support innovative, strongly interdisciplinary research from established independent researchers. The BA/Jisc Digital Research in the Humanities Grants are available to enable novel research through the application of new methods and tools to existing digital resources. The BA/Leverhulme Small Research Grants are available to support primary research in the humanities and social sciences. They cover the cost of the expenses arising from a defined research project; research topics may be chosen freely. Bayer is searching for ideas and innovation on novel molecular targets to develop new approaches and solutions improving both human health and modern crop protection to grow and sustain our livelihood. BBSRC invites applications for collaborative research projects on the theme of Industrial Biotechnology and Bioenergy in the Developing World that address challenges relating to industrial biotechnology and bioenergy in the developing world. The British Academy is seeking applications for its Newton Mobility Grants to provide support for international researchers based in a country covered by the Newton Fund to establish and develop collaboration with UK researchers around a specific jointly defined research project. This funding opportunity supports independent researchers in the arts, humanities and social sciences across the University to conduct small-scale research activities that will enable them to bid for larger-scale funding from external sponsors/ generate publications. Canadian Institute for Advanced Research (CIFAR) is calling for programmes addressing complex, fundamental questions of importance to the world through an interdisciplinary and collaborative research programme. The US-based Environmental Research and Education Foundation (EREF) is looking for applicants to their Sustainable Solid Waste Management Research Programme, which will ideally provide academic analysis of waste management practices, targeted research for increasing industry knowledge and understanding, as well as scholarships and internships for high-potential students. The Engineering and Physical Sciences research Council (EPSRC) invites proposals for Healthcare Impact Partnerships to support projects that progress previous EPSRC-funded research towards generating impact in healthcare. The Engineering and Physical Sciences Research Council (EPSRC) Follow-on Fund helps fund the early stages of commercialisation of technologies, to make ideas more attractive for commercial investment. Projects must arise from EPSRC-funded research, must be aimed solely at commercialisation (i.e. may not include further research), and will be supported based on individual project needs. Up to £60,000 is available per project. EPSRC is looking for innovative and methodologically ambitious proposals that link foundational research on the nature and dynamics of trust and trustworthiness, with new empirical research on the relationship between trust and global governance. EPSRC actively encourages proposals characterised by interdisciplinarity both within and beyond the social sciences, and would particularly welcome proposals that include a significant international comparative component. The Engineering and Physical Sciences Resource Council (EPSRC) Centre of Advanced Materials for Integrated Energy Systems, CAM-IES, and the Hydrogen and Fuel Cell Research Hub, H2FC SUPERGEN, are seeking proposals from academic staff at UK universities, and associated research institutions (eligible to receive EPSRC funding), in the area of materials for hydrogen production. As part of ESRC's contribution to the UK Research and Innovation (UKRI) Partnership for Conflict, Crime and Security Research (PaCCS), ESRC wishes to commission research that will deepen and broaden understanding of the complex issues related to Transnational Organised Crime (TNOC) and its interrelation with other licit and illicit activities. The aim of this call is to fund experienced research leaders who require longer-term or extended support for research groups, inter-institutional research networks, project-linked programmes, medium-to-large surveys, other infrastructure or methodological developments, or any related larger-scale projects. This research centre is a major ESRC strategic investment. In addition to taking forward an ambitious research agenda and making significant economic or societal impact, it will add value by increasing research bandwidth, building capacity, encouraging interdisciplinary working in social science and beyond, and enabling research collaboration in the UK and internationally. The Economic and Social Research Council Impact Acceleration Account (IAA) aims to increase the application of social science research from the University. The IAA Impact Fund provides flexible funding for impact projects in social science disciplines, while the IAA Follow-on Fund supports projects (with continuing impact) that have previously received IAA funding. Funds for impact projects in social science disciplines (Impact and Follow-on calls) and to explore opportunities for data reuse within Nongovernmental Organisations (NGOs) and implementation agencies that operate in an Official Development Assistance (ODA) context (NGO Data call). The Economic and Social Research Council (ESRC) invites proposals for standard research projects, large-scale surveys, infrastructure projects, and for methodological developments in any area of the social sciences. Interdisciplinarity, both within and beyond the social sciences is actively encouraged. New Investigator Grants form one element of The Economic and Social Research Council's (ESRC) support for early career researchers and the scheme is specifically aimed at supporting those looking to make the transition to an independent researcher through managing their first major research project. ESRC and the National Institute of Health Research (NIHR) are inviting outline proposals to undertake social science research to support innovation in dementia prevention, interventions and care delivery. The Economic and Social Research Council (ESRC), in collaboration with the Arts and Humanities Research Council (AHRC), is pleased to invite proposals for new research grants that qualify for funding from the Global Challenges Research Fund (GCRF). This call aims to fund a portfolio of innovative and interdisciplinary research that provides social and cultural perspectives on mental, neurological, and substance use (MNS) disorders in developing countries. The Mexican National Council for Science and Technology (CONACYT) and the UK's Economic and Social Research Council (ESRC) invite joint applications for collaborative projects between Mexico and the UK which seek to enhance understanding of Smart Cities. This collaboration is supported by the Newton Fund. 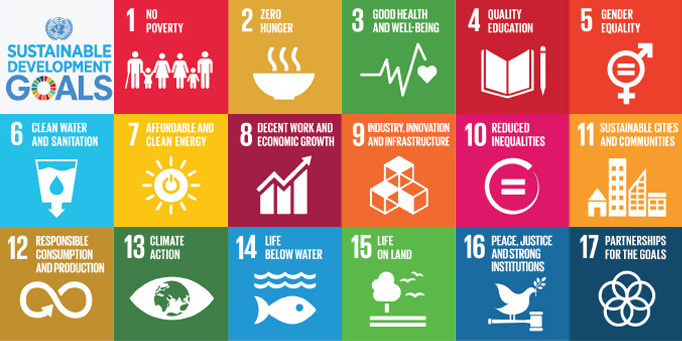 This new call, New models of sustainable development, aims to fund new interdisciplinary and innovative research which helps us to understand how new models of economic development (broadly defined) can help address the development challenges reflected in the UN's Agenda 2030. To find a game changing, universal solution to all these challenges, the Bill & Melinda Gates Foundation and the Page Family are launching the "Universal Influenza Vaccine Development Grand Challenge" during the centenary year of the 1918 flu pandemic. The goal of this Grand Challenge is to identify novel, transformative concepts that will lead to development of universal influenza vaccines for at least three to five years. The challenge is to design and build an initial prototype of a dual-chamber, prefilled, single-dose injection device. These devices will be required in the global health space to enable simple, intuitive reconstitution and injection of drug products that require storage in the dry state (powder or cakes) in remote in-home settings. The Academy of Medical Sciences is one of the UK national academies, whose mission is to promote medical research and its translation into benefits for society. These awards support short visits that seek to facilitate collaboration between the most talented researchers in the field of antimicrobial resistance (AMR) in the UK and India. Join a unique training programme at the interface between academic excellence and the world of international biodiversity conservation organisations! Project 2 : How will halting biodiversity loss affect the achievement of other Sustainable Development Gaols? The Royal Society for Asian Affairs invites applications for the JPT Family Trust Medical Science Award. This enables medical students to travel to a country or countries in Asia in order to conduct a medical research project in a challenging environment. MRC has a strategic commitment to encourage international partnerships to tackle important and challenging research goals. KHIDI is committed to fostering collaboration between the UK and Korea and has chosen the UK as one of six of its global business offices. As part of MRC and KHIDI’s on-going collaboration, the MRC and KHIDI will jointly invest up to £200,000 to support new and developing collaborations between the UK and Korea’s leading researchers. This funding scheme aims to support joint collaboration activities between UK- and Korea-based researchers. Each application will be a joint submission by one UK-based and one Korea-based PI. The Medical research Council (MRC), on behalf of the UK Nutrition Research Partnership (UK NRP) is pleased to invite proposals for multidisciplinary pump-priming Collaborative Awards on Human Health and Nutrition. The Medical Research Council (MRC) and the São Paulo Research Foundation (FAPESP) invite proposals to the UK-São Paulo/Brazil Neglected Infectious Diseases Joint Centre Partnerships Initiative under the umbrella of the Newton Fund. The Medical Research Council (MRC) and the National Research Foundation (NRF) of Kenya are inviting research proposals to the Newton Fund’s UK-Kenya Joint Partnership on Non-Communicable Diseases. The objective of this initiative is to deliver research funding for internationally competitive and innovative collaborative projects between scientists from Kenya and the UK that will underpin progress towards achieving the objectives laid out in the Kenyan NCD strategy beyond 2020, and to enable the pursuit of shared research interests. This call is for applications to support Centres for Doctoral Training focussed on cohort-based doctoral training in areas where both breadth and depth of research training are required to address UK skills needs at the doctoral level. For 2018, NERC will align its Centre for Doctoral Training (CDT) investment with that of the Engineering & Physical Sciences Research Council (EPSRC). British Council in collaboration with Royal Society of Chemistry announces Newton Bhabha Fund Researcher Links Workshop grants for early-career researchers from India and the UK to allow them to make international connections that can improve the quality of their research. Applications are invited for Newton Institutional Links with the aim to build UK-partner country research and innovation collaborations centred on shared research and innovation challenges which have direct relevance to social welfare and economic development. Newton Researcher Links Workshops bring together early-career researchers from the UK and a partner country to make international connections that can improve the quality of their research. The British Council, under the Researcher Links scheme, via the Newton Fund invites applications for its strategy and policy innovation in supply chain management under environmental pressure workshop. UK researchers can apply for a share of up to £10 million for joint projects with Chinese partners to tackle antimicrobial resistance (AMR). The Weather and Climate Science for Service Partnership Southeast Asia (WCSSP SE Asia) is seeking submission on the investigation of the dynamic, flow-dependent relationships implicit within convective-scale tropical error structures and their interactions with larger scales (e.g. Tropical Cyclones, Cold surges, etc). This programme is intended to generate world-class, cutting-edge research which addresses key questions on strengthening and and improving health systems in developing nations. It is part of the Health Systems Research Initiative, funded by the Department for International Development (DfID), the Economic and Social Research Council (ESRC), the Medical Research Council (MRC) and the Wellcome Trust (WT). The research councils have announced a cross-disciplinary mental health network plus call with the aim to encourage the creation of multi-disciplinary networks that cross the remit boundaries of the research councils. The Royal Geographical Society (RGS), through their Environment and Sustainability Research Grants, offer four annual awards to researchers within 10 years of completing their PhD for projects that investigate some of the bigger issues of environmental sustainability. This scheme provides ‘seed corn’ funding for new projects of timeliness and promise. The objective of the scheme is to increase the availability of specialised equipment and essential consumable materials, and to support essential field research. A Science and Technology Facilities Council (STFC) Food Network+ (SFN) call for collaborative scoping projects is now open. This call is open to all projects that bring together STFC capabilities and food research and industry. Science for Humanitarian Emergencies & Resilience (SHEAR) is an international research programme jointly funded by the UK's Department for International Development (DFID) and the Natural Environment Research Council (NERC). SHEAR focuses on four areas: disaster risk assessment (mapping and analyses), sub-seasonal to seasonal forecasting, disaster risk monitoring, and the integration of these into practical decision making. The UK Research and Innovation Future Leaders Fellowships (FLF) aim to grow the strong supply of talented individuals needed to ensure that UK research and innovation continues to be world class. The Towards a Sustainable Earth funding partners invite proposals to first call under the initiative, which aims to significantly improve our understanding of the complex interactions between people and the environment required to make progress in achieving the United Nations Global Goals (Sustainable Development Goals). The Wellcome Trust's Collaborative Awards promote the development of new ideas and bring disciplines together to speed the pace of discovery. This scheme funds teams who are tackling major health-related questions in the humanities and social sciences that require a collaborative approach. The Wellcome Trust Investigator Awards seek to enable humanities and social science researchers, particularly those with a compelling research vision, to tackle the most significant questions in human health. WSUP (Water & Santiation for the Urban Poor) has helped transforming cities to benefit the millions who lack access to water and sanitation since 2005. This research project, commissioned under WSUP’s Urban Sanitation Research Initiative, aims to identify key criteria determining whether a shared toilet in an urban context can be considered of high quality. This research project is commissioned under the Urban Sanitation Research Initiative, a 2017-2020 research programme ( www.wsup.com/research ) core-funded by UK aid from the UK government, and managed by Water & Sanitation for the Urban Poor (WSUP) in formal partnership with the Environmental Health & Sanitation Directorate, the Ministry of Sanitation and Water Resources (EHSD), Kwame Nkrumah University of Science and Technology (KNUST), and the Institute of Local Government Studies (ILGS). This research project, commissioned under WSUP’s Urban Sanitation Research Initiative, aims to assess the extent to which slum-dwellers can be expected to bear thefinancial costs of high-quality sanitation, and at the same time to generate information of specific value for sanitation planning in three cities in Bangladesh, Ghana and Kenya. This research project, commissioned under WSUP’s Urban Sanitation Research Initiative, will use a formative research approach to explore barriers and opportunities for improved school Water,Sanitation and Hygiene (WASH) in Madagascar. Collaborative Awards promote the development of new ideas and bring disciplines together to speed the pace of discovery. This scheme funds teams who are tackling major health-related questions in the humanities and social sciences that require a collaborative approach. Wellcome Trust (WT) Investigator Awards enable independent researchers with a compelling research vision to tackle the most important questions in science. This scheme supports Master’s programmes to train humanities and social science researchers in any area of health. Wellcome Trust (WT) Senior Research Fellowships are designed to support independent researchers who want to tackle the most important questions in science and who are leaders in their field. This joint initiative between the Wellcome Trust (WT) and the Department for International Development (DIFD) supports social science researchers who want to develop new standardised ways to conduct research for epidemic preparedness and response.